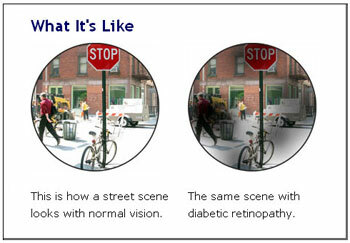 This is the early stage of diabetic eye disease. Many people with diabetes have it. With NPDR, tiny blood vessels leak, making the retina swell. When the macula swells, it is called macular edema. 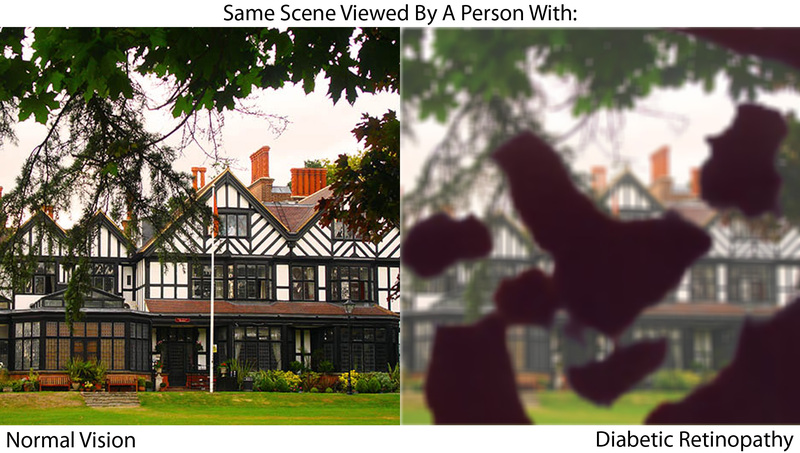 This is the most common reason why people with diabetes lose their vision. Also with NPDR, blood vessels in the retina can close off. This is called macular ischemia. When that happens, blood cannot reach the macula. Sometimes tiny particles called exudates can form in the retina. 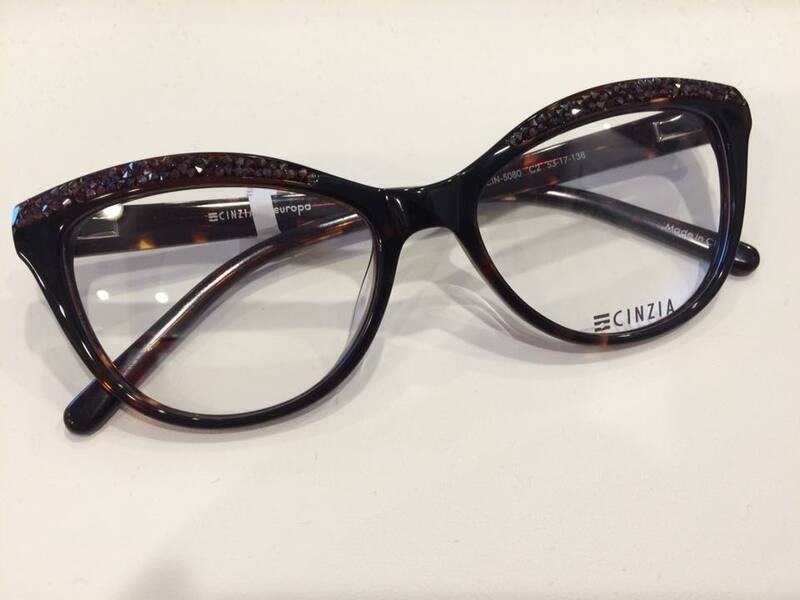 These can affect your vision too. If you have NPDR, your vision will be blurry. PDR is the more advanced stage of diabetic eye disease. It happens when the retina starts growing new blood vessels. This is called neovascularization. These fragile new vessels often bleed into the vitreous. If they only bleed a little, you might see a few dark floaters. If they bleed a lot, it might block all vision. These new blood vessels can form scar tissue. Scar tissue can cause problems with the macula or lead to a detached retina. PDR is very serious, and can steal both your central and peripheral (side) vision.